Homemade Solar System Manual – What Can You Expect? 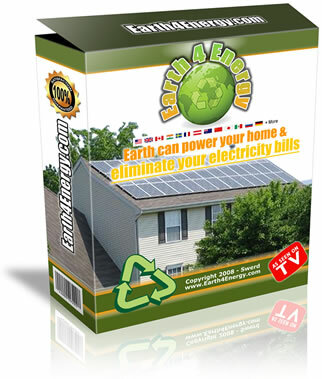 Home/Home Solar Guides/Homemade Solar System Manual – What Can You Expect? There are many homemade solar system manuals now available in the market. You can get a paperback book from Borders or Barnes and Nobel bookstore and even download an e-book from the internet. But honestly, what can you expect from this kind of DIY home solar guide? Firstly, you have to understand the type of renewable energy that will be covered by most green energy books. For residential usage, the type of renewable energy systems will be solar and wind power. The selection of the type of system suitable for your home will dependent of a few factors. Does the place you live have good sun coverage yearly? Are there any obstructions near your house such as a big tree or hill? Are there any tall adjacent buildings? These are a few questions you have to study before investing in a home renewable energy system. Now, assuming you have decided to go with solar power, what can you expect out of a homemade solar system guide. Generally, you will learn about the science behind the system. This kind of manual will usually show you how electricity is generated by using the Photovoltaic (PV) cells and how a solar array will look on the roof top. You will also learn a new term call “home energy audit”. This is where you calculate the total amount of electric power consumed by all the electrical appliances and also the amount of energy leaks on a daily basis. This will give you a base on how big the system should be for your home. Next, you will learn the key components of the solar system such as charge controller, DC disconnect, battery bank, voltage meter, amp meter, inverter, etc. Each any every part is important for the system to work properly. The fact is, most people that bought a home solar power system guide, would not have the skill or the experience to carry out the project. It would be a better idea to outsource to work to a professional contractor. The home solar energy industry is a booming sector. There are literally thousands of specialized contractors that will do the job just fine. So what is your role as a home owner? You want to make sure the contractor works within your allocated budget. The cost of a home improvement project can quickly get out of hand if you don’t manage it properly. This is where the homemade solar system guide will come in handy. With some knowledge, at least you will know when you are being charged for parts or components not needed in the system. Even when the contractor asks you to pump in more money on the project, you can confidently ask him to explain the reasons.